Think about the moment that you knew that your fiancé was the one. Not the almost moment, but the true moment that made you laugh a little because moments of love exist in the moments your perspective led you to now be blushingly beautiful and engaged. Now imagine this perspective captured by a lens, but told by a photographer that not only stages a story but helps couple’s capture the true essence of what their love means behind the lens. Engagement photo-shoots should be fun, wild and a not just boring side by side poses, after all this is the twenty first century, enjoy it. It’s a time when you just need to get the photographers number because the image is so beautiful you can’t help but smile, in this case the photographer has done his job. 1. When you think of a photoshoot, I advise you to think of location, location, location. No, this is not an ad for real estate, and although your photographer will have a list of locations to share, your vision added to the equation will help your engagement pictures really represent your couple style. When you add an idea to the mix, it automatically becomes a unique aspect of your bride to be style. Go ahead and give it a twist, it’s all bride beautiful from here on out. 2. Next, if you’re having trouble thinking of what your exact couple style is, and maybe creativity is not exactly your strongest forte. Pop on the television, because as a future bride to be, I’m sure you’ve developed a bridal style by now. Even if you’ve just gotten engaged less than a week ago, in the back of your mind’s imagination bring out the ideas you’ve been saving and share them with Stunning Bride Photography. Remember from the moment you get engaged until the day you say I Do, make sure you reflect on what you want to capture from your engagement photoshoot and bring it to life. 3. Express Yourself. Yes! 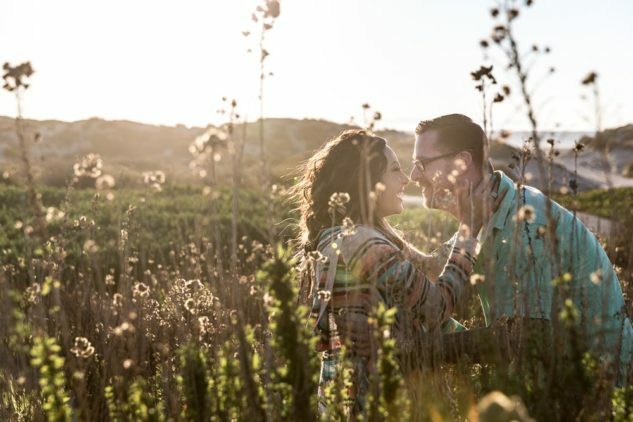 Be vocal, let your engagement photographer know exactly what you want. Share your vision with him; he is there to go above and beyond your photogenic smiles. Although his vision maybe your next happy smile; don’t feel obligated to follow his exact plan. 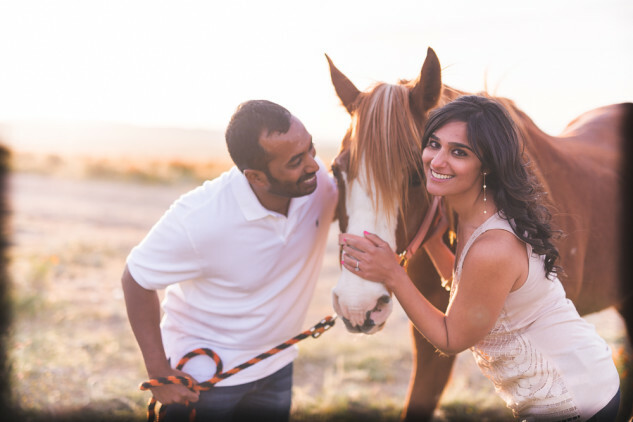 Decide ahead of time whether you want a planned or spontaneous candid shoot. Maybe you want a little bit of both, or separate headshots that eventually lead to each other. 4. Don’t be afraid to get out of your comfort zones. 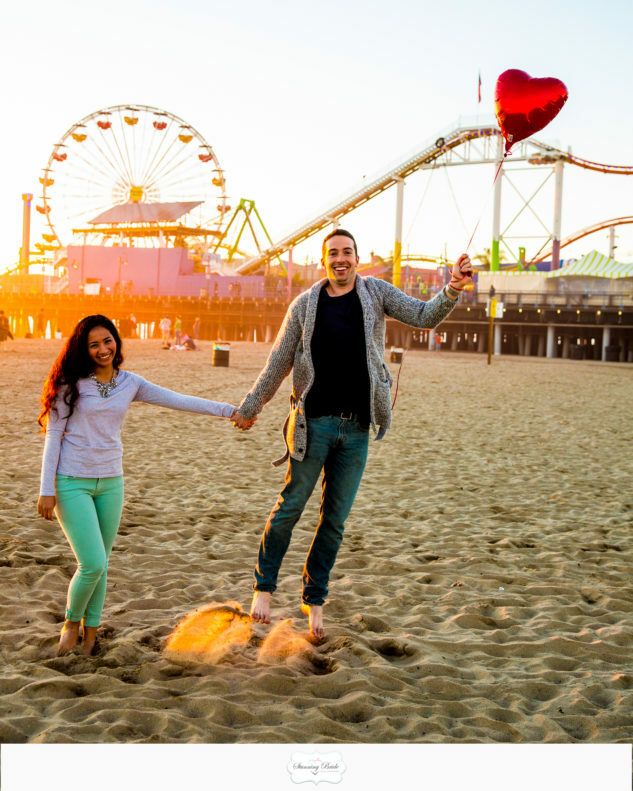 Engagement photoshoots are a great time to take risks. Let your imagination run free and smile in a way you’ve only seen in the movies. Jump into the ocean fully clothed as you allow the camera to capture moments of spontaneity and love. After all now you’re an engaged couple, this is you’re photo-shoot before becoming husband and wife. 5. If you’re torn between locations in Los angeles, nobody ever said you’re bound to only one photo-shoot. Discuss packages with your photographer to incorporate a couple photo-shoots, after all couples are dynamic and creativity sparks to reflect your true couple status. Maybe two or three shoots in between engagement and your big day is what you’re looking to capture. Because, while dreaming about romantically splashing around in the waves, you may also want to capture sweet cake tasting moments in your engagement shoots. In many cases the cake is a stepping-stone in future decision making strategies: make it a sweet one.